Public access computers are available to holders of Arrowhead Library System library cards. Out of state guests may request a guest account. Reserving a computer must be done in person. Computer room assistants and staff are available to help you sign up to use a computer. Three laptops are available to checkout for use in the library. 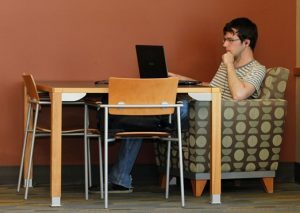 The Beloit Public Library has free wireless access (WiFi).